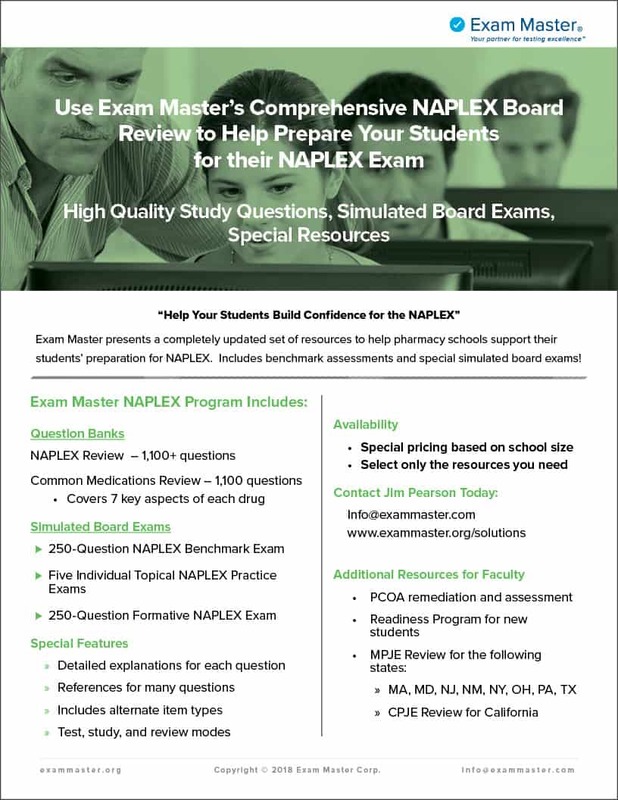 Are your students prepared for the NAPLEX? If your students can do Exam Master, they can do the boards! Challenging, relevant questions organized according to the board test plan means your students will be prepared for the NAPLEX.